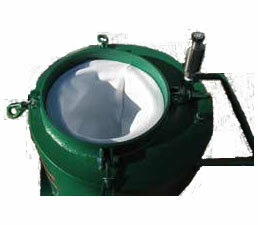 The Green Machine Sump Sucker is great for a variety of jobs around your plant. 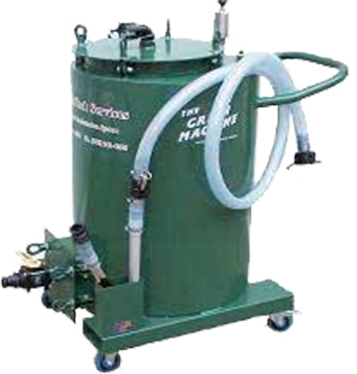 It can be used to clean out machine sumps or pits, vacuum surface tramp oil from your sump, and separate metal fines and particulate from your coolant. This versatile machine fluid and water sump cleaner operates on compressed air and is easy to use. Cleaning out dirty machine reservoirs is one of the most unpleasant jobs in the shop but can be made vastly more tolerable when you use the Green Machine Sump Sucker. You have three different machines to choose from, and each one offers slightly different features than the next. Our standard Green Machine is simple to use and only requires air pressure. Its maintenance-free design means you don’t have any problems. 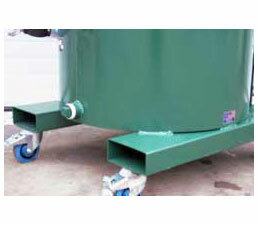 If you need more capacity, the Green Machine DTS comes with two 55 or 90-gallon tanks. All models have the same great Sump Sucker technology. Click on the machine of your choice below for additional information. You also can call us toll-free at (800) 242-0525 to learn more. The Green Machine is great for a variety of jobs around your plant. 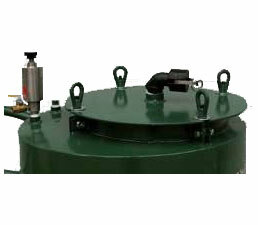 It can be used to clean out machine sumps or pits, vacuum surface tramp oil from your sump, separate metal fines, and particulate from your machine coolant. 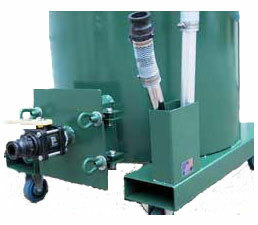 This versatile sump cleaning machine operates on compressed air and is easy to use. Extend the life of your sump by simply using the Green Machine. Clean out your sump entirely, filtering out any solids and then return the clean machine coolant back into the sump through the convenient 1-1/2″ ball valve located at the bottom of the unit. The fluid can either gravity flow back into the sump or be pressure driven for fast evacuation. An important feature is the unit’s rugged construction. The Green Machine is built tough to withstand the plant environment. The vacuum is maintenance and repair free. All materials of construction are of the highest standards to ensure the BEST QUALITY FOR OUR CUSTOMERS. The Green Machine Sump Sucker is very easy to use – connect it to an airline and the unit is in full operation. 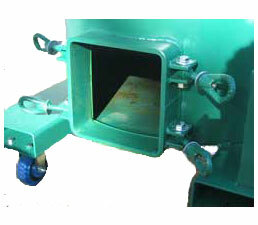 With the turn of a knob this sump sucker can fill or discharge quickly and easily. A high-level check valve will turn off the suction when the unit is full. 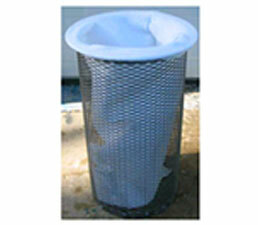 Filter – P2 Bag Filter, available in 200 to 50 micron rating. 200 micron standard.